A unique chance to buy a riverside renovation project in the heart of the Blavet Valley. 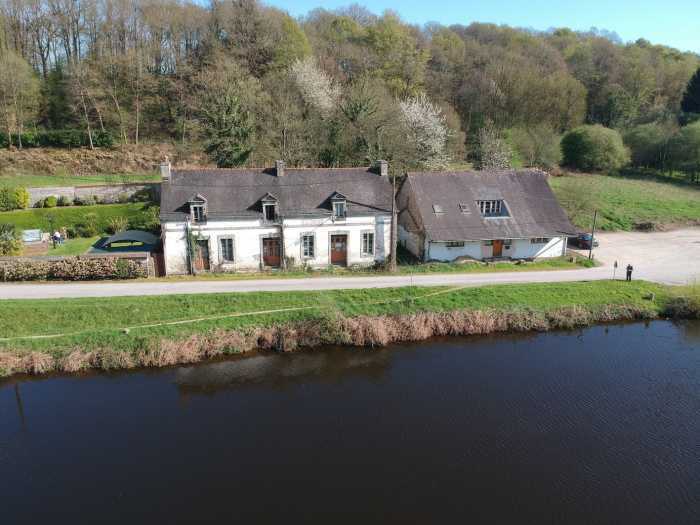 This Breton longère was built around 1900, after WWII it was used as the offices of a local agricultural consortium up until the late 70's, from then on it has just been used for storage. There was a project to convert it into 4 separate unites to rent out to fishermen, but the only trace of this is the new septic tank system which was installed in the early 2000. Now it's down to you to choose the future of the property. The property does need completely renovating, but at present comprises of two massive rooms, both with fireplaces, then upstairs, on one side is a loft and the other a group of 4 rooms which were the offices before. There are also a set of cellars to the property, but due to the proximity of the river, it wouldn't be advised to include this in the living accommodation. This does still leave over 300yrd² of possible space. To the rear of the property is the private garden, accessed via a shared driveway.